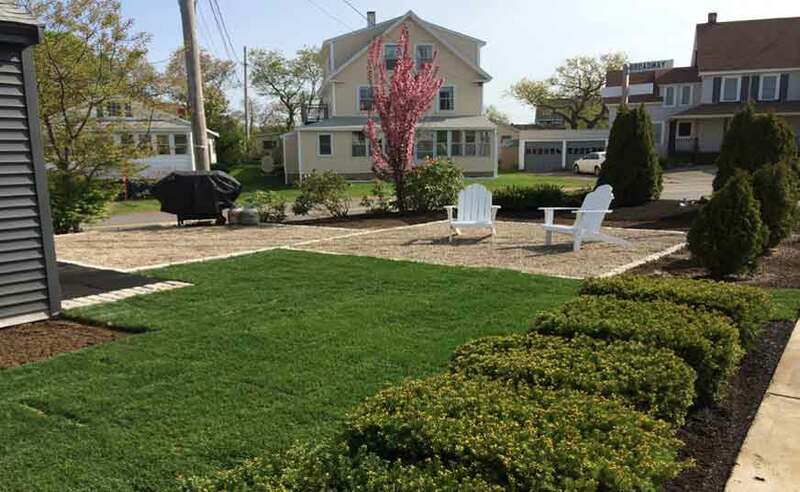 This property was a small site that needed a total landscape renovation. The entire site had artificial turf or 6” deep red mulch with poly tarps under the entire site. About two dozen yews were successfully transplanted. The site was graded to achieve a more level area. This project still needs more plantings before completion. Before – dark red mulch front of house with yews planted up against house. 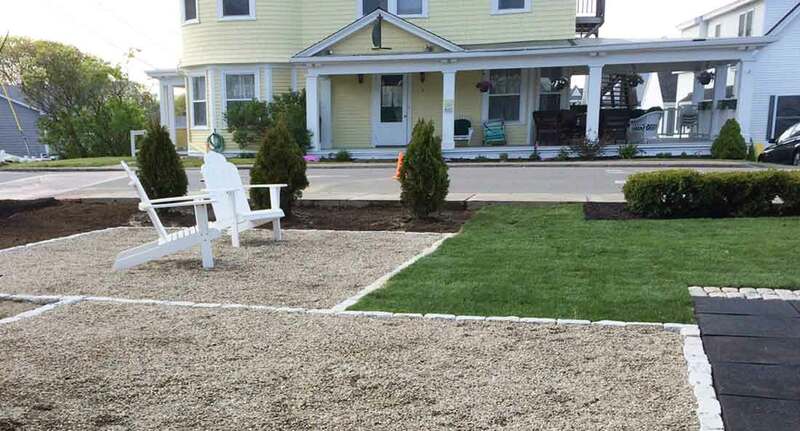 After – in front of the house, all of the yews were successfully transplanted and sod installed. Flowering shrubs will be installed along front of house. Before – the closed in seating area with more random placed yews. 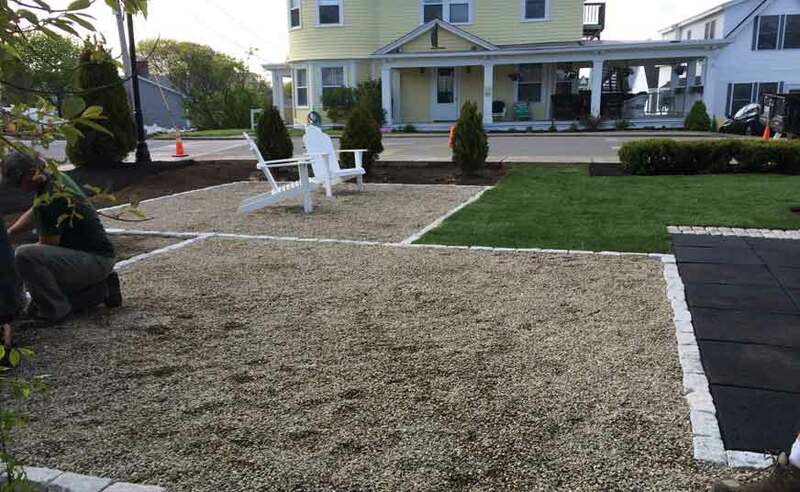 After – the new landscape includes a lawn and pea stone patio. 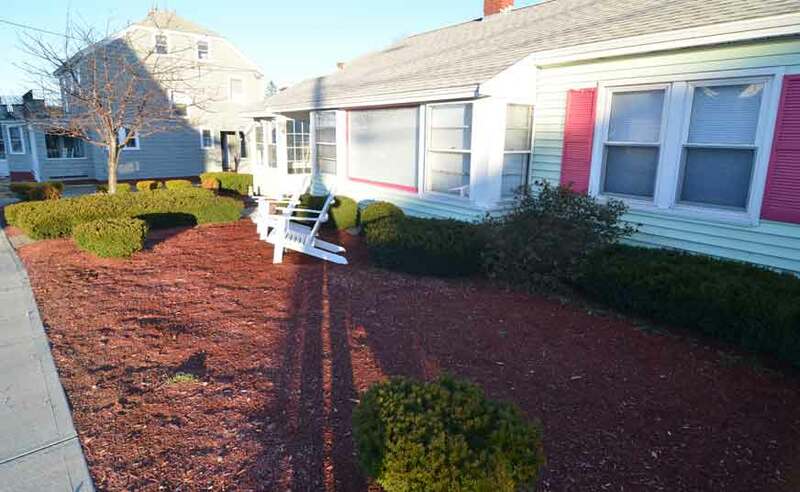 As seen in the above photos, this property had multiple yews planted in front of the house, along the front walkway and around the seating area on the side of the house. Red mulch covered the front of the house and artificial grass carpet covered the seating area inside the fenced in area. The yews were dug up and saved for transplanting. All of the mulch was dug up and hauled away. 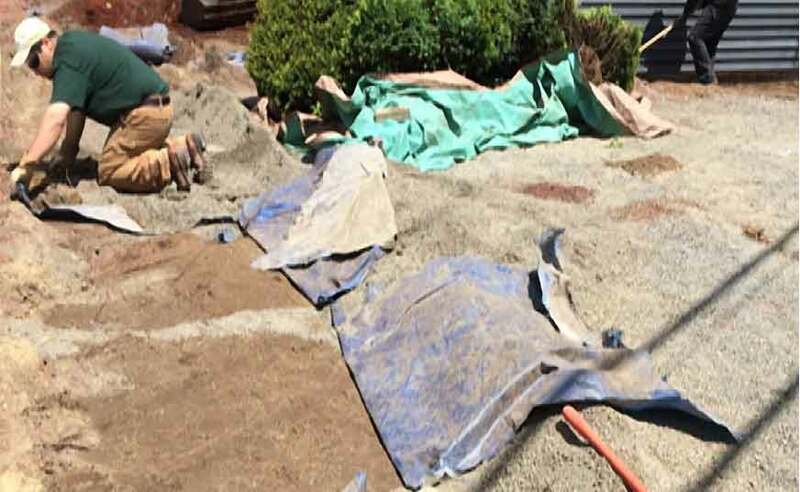 Polyester tarp was buried 6-8” under the entire site. An excavator dug up all of the yews to be later transplanted. 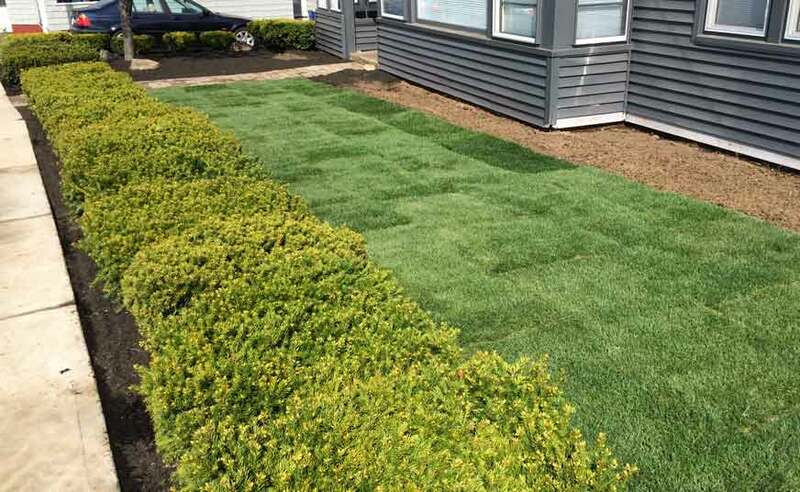 The 6-8” of red mulch was removed, as was the 4-6” of stone dust under the artificial grass carpet. All of the poly tarps were dug up and removed. 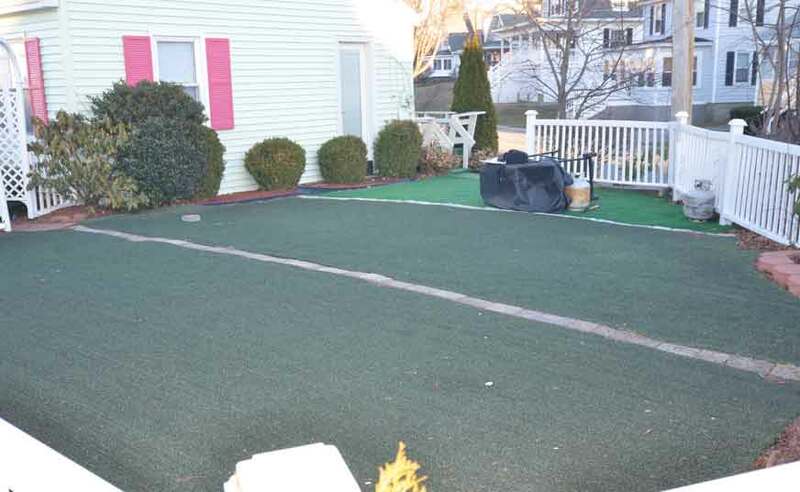 Before – the patio area was artificial carpet. 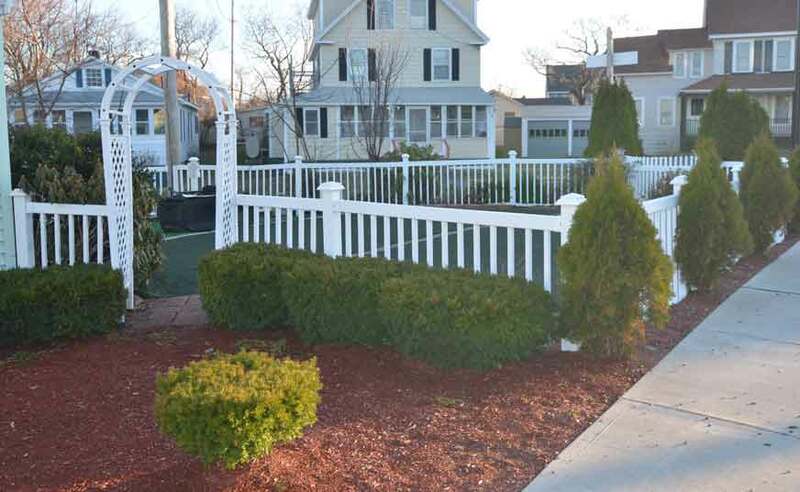 After – the patio area was pea stone bordered with cobblestones. 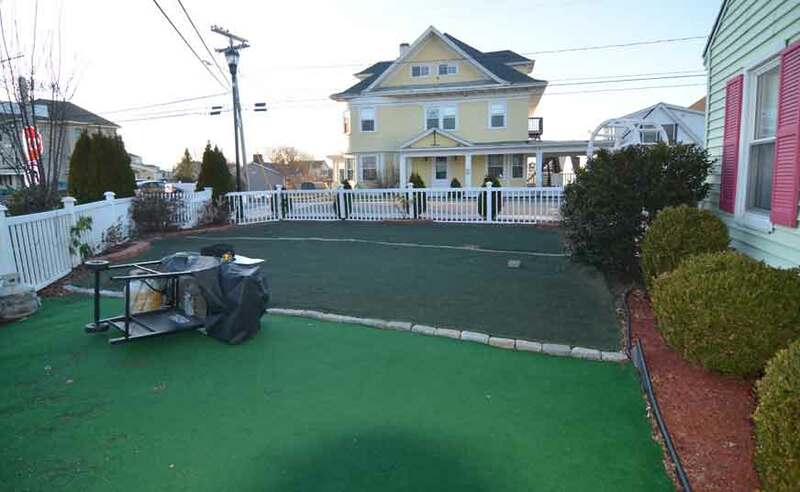 Before – the side of the property was covered in artificial carpet. 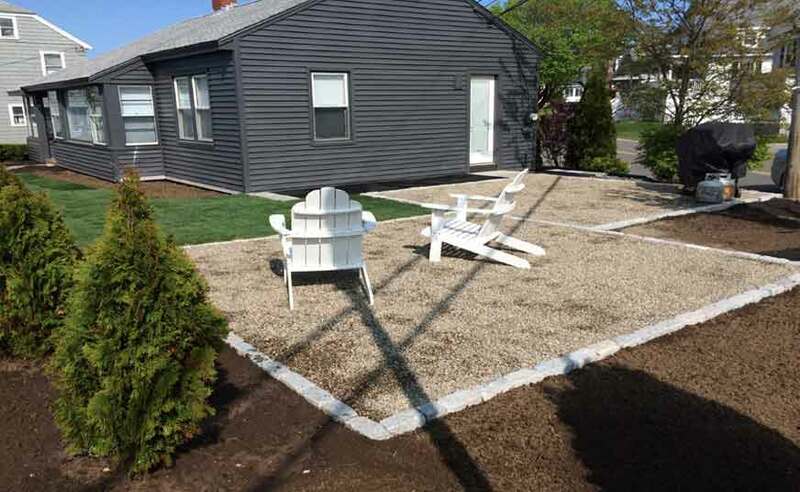 After -To meet the client’s budget, pea stone was temporarily used for the seating area. The cobblestone border secured the stone and created a finished look. Plantings will be installed around the border. There was a total transformation of this small site landscape. All of the yews were successfully transplanted, positioned as they were originally to avoid bare spots. Loam/compost depth of 6” was installed under the new sod lawn. 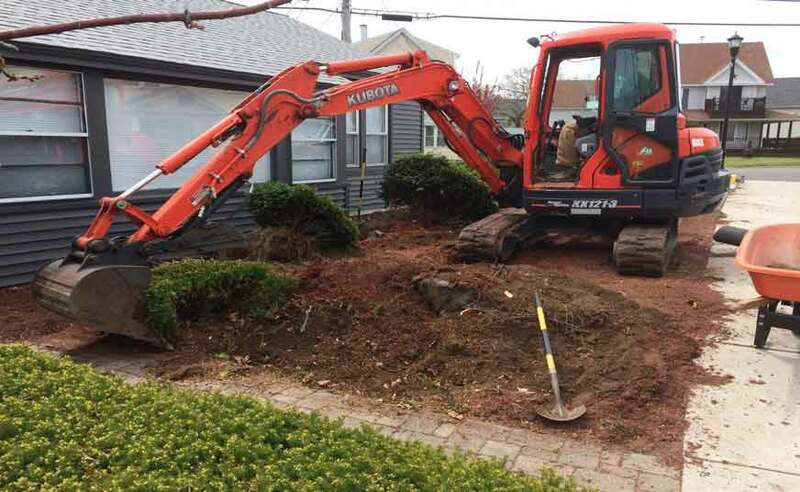 The project will be completed with the installation of flowering shrubs, privacy plantings, and perennial gardens.